Box turtles, also known as box tortoises, comprise a genus of turtle native to the United States and Mexico. There are currently four recognized species of box turtles: Common, Coahuilan, Spotted, and Ornate box turtle. It’s classified as near threatened which means it’s somewhat endangered due to loss of habitat from human development. Box turtles are popular pets. 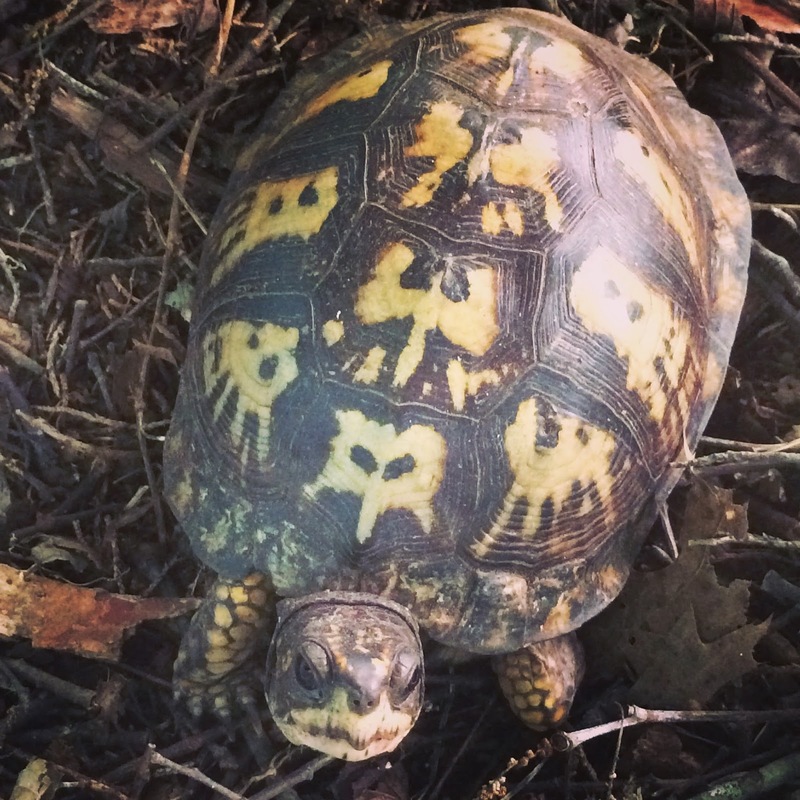 Box turtles are private animals who need their space. They hide in brush and burrow into the ground. During the winter when food is harder to find, they will hibernate. They can conserve both food and heat this way. Box turtles often live around 50 years in the wild This is a long lifespan compared to many other animal species. You may have heard the phrase ‘you are what you eat’. When the box turtle eats plants that are poisonous to its enemies it also becomes poisonous. If we eat healthfully, then we can expect to have good health and avoid sickness. This phrase is especially true for our spiritual diet. If we consume the bread and water of life that Jesus offers in his Word, we will become loving, forgiving, and patient just as Jesus is. How do we consume the water that Jesus offers us? Do we become what we consume right away? What are the ‘fruits’ we see as a result of drinking the water Jesus offers? 1 Boxturtles.com "Box Turtles." N.p., n.d. Web. 19 June 2016. .